Enter by August 14th for your chance to win. 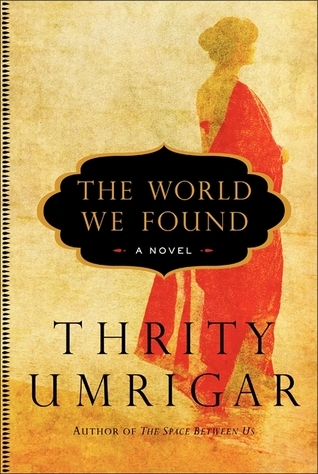 This week we’re giving away a novel by award-winning novelist and memoirist Thrity Umrigar: The World We Found. It’s the “powerful,” “luminous” story of four Bombay university students reuniting 30 years after their college days. “The World We Found is stunning in its credibility and nuance. . . . This is a novel that rewards reading, and even re-reading,” says the Boston Globe, while the Huffington Post calls it a “a sparkling and sharp slice of life. The novel currently boasts over 4000 reviews on Goodreads. Sound like your summer-reading cup of tea? Enter by 11:59 pm on August 14th for your chance to win! The giveaway is now ended. Check our blog for news of our most recent giveaway.